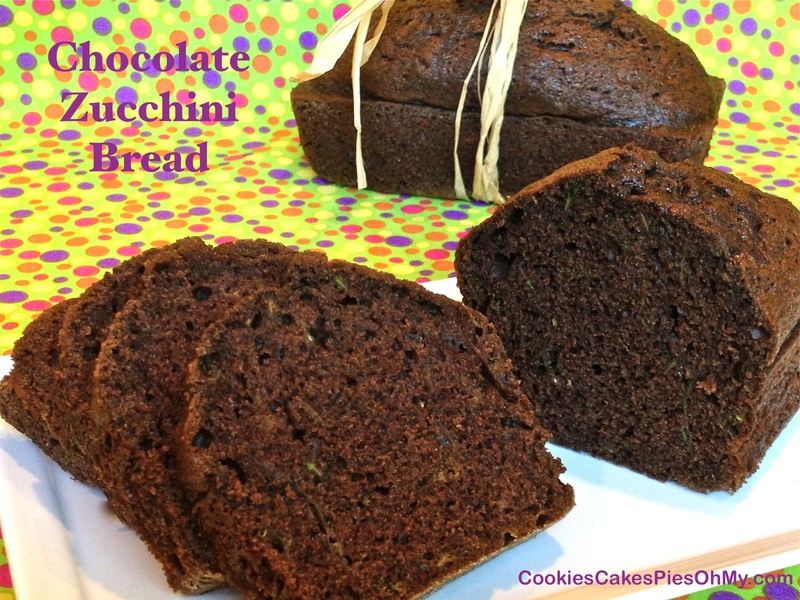 I thought I would toss another zucchini bread recipe at you with a twist, because chocolate makes everything better, right? I am enjoying a piece of this bread right now, wish you were here to share a slice and a chat! Preheat oven to 350°. Spray four small loaf pans with non-stick spray and dust bottoms with flour. In large bowl stirring by hand, mix eggs, sugar, and oil. Stir in zucchini and vanilla. Add flour, cocoa, baking soda, cinnamon, and salt; stir until combined. Pour batter into prepared loaf pans. Bake 32-35 minutes or until pick inserted in center of loaf comes out clean. Cool in pans 10 minutes, remove and cool completely on cooling rack. Thanks Andrea, appreciate you visiting. Happy Baking!